It can easily be argued that English is one of the most important subjects taught in today’s schools. Through the typical English Language Arts class, students learn a myriad of skills that will ultimately help to carry them through their adult lives. Through their carefully devised curriculum, English Language Arts teachers not only educate their students on how to properly and effectively communicate their ideas, but also how to think more deeply about the written messages they consume as well as the world around them. As an aspiring English Language Arts teacher, this will soon be your responsibility once you earn your official educator’s license. Before you can get started with your professional career, however, you must first complete one final task: earning a passing score on the ILTS English Language Arts exam. Like numerous other exams under the ILTS umbrella, this exam is designed to assess how prepared you are to teach professionally from both knowledge-based and technical standpoints. 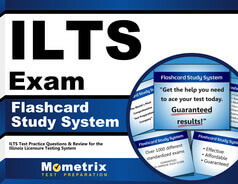 The ILTS English Language Arts test is fairly complex. You will be given approximately three hours and 45 minutes to complete 125 multiple choice (“selected-response”) questions. Furthermore, each question is meant to gauge not only your understanding of your field, but the ins and outs of educating your future students in the nuances of the subject. The Mometrix Test Preparation team understands just as well as you how important this exam is to your future career goals. That’s why, to help, we have put together our ILTS English Language Arts practice test. You can find this study tool further down on this page. We have designed our practice test with your needs in mind; through comprehensive research and observation of the actual exam, we have molded our practice test so it is as accurate to the real thing as possible. This will allow you to better familiarize yourself with the test’s contents. 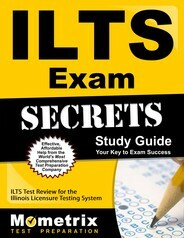 If you find you need further help, we also offer an ILTS English Language Arts study guide, also featured on this page. Good luck!